When I wrote that, I didn’t think it’d come to war. I didn’t think, war or what? Now, I still don’t know. Does God want this war? I can’t believe it. And yet, I can’t believe that God wants slaves instead of men. I never wanted an eye for an eye. But even Douglass says the war is just. what have I helped bring about? I thought freedom could be won with poets’ words. the crank of an opinion-mill, a barnyard lyre. What does God want from a pacifist? And yet if war would free one slave, would I? But I said I don’t believe in war. 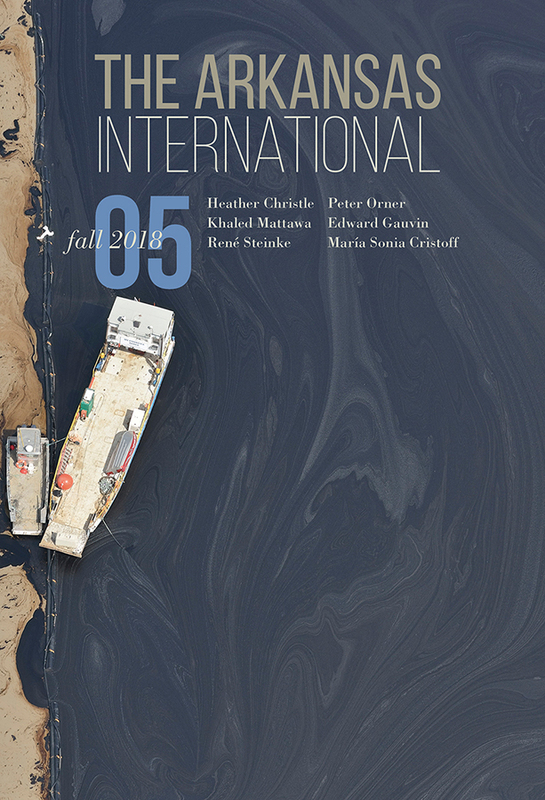 Read Melissa Range's three poems in the print edition of The Arkansas International 5. Melissa Range is the author of Scriptorium, a winner of the 2015 National Poetry Series (Beacon, 2016), and Horse and Rider (Texas Tech, 2010). Originally from East Tennessee, she teaches creative writing and American literature at Lawrence University in Wisconsin..